Financial security is truly important in one’s day to day life, and most everyone works hard to ensure that they maintain a comfortable standard of living. Sadly, this isn’t always the case when it comes to financial security for those you leave behind after your death. Yet there is a way to ensure this. Enter life cover. While the name life cover sounds like cover over your life, it would be more accurate if this cover were called death cover. The reason being that it is cover that falls into place after your are no longer there. We all have responsibilities in life. Some of us have more than others. 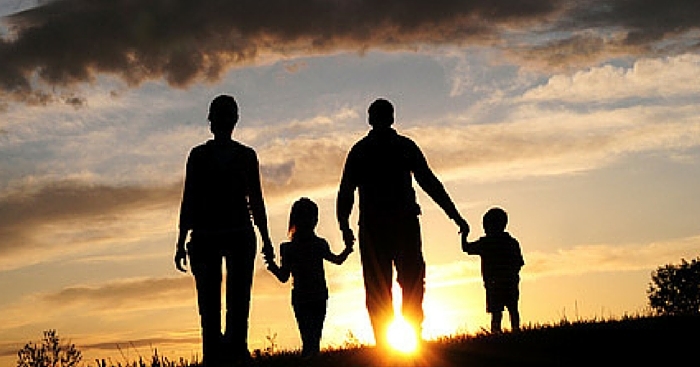 If you are married and have children, your responsibilities to your family are immense. If you’re a single bachelor or bachelorette, your responsibilities might be much less, but you could still have some people dependent on your income, such as parents or brothers and sisters. So what happens to you if you die without life cover? It is a grim thing to think of, I know, but it is very necessary. Could your family survive without your income? Who would pay for the costs involved in tying up your estate, what about capital gains tax etc. etc? Let’s start at the beginning. For most, the main reason of having life cover is to ensure that your debts are settled should you pass away. Debts can be anything from a house, to a car to store accounts and personal loans. Many accounts and even credit cards come with special insurance that will cover your debt, should you die, and it is wise to take out this cover. It’s usually a really small amount, but it could make a great difference to your family. You wouldn’t want your husband or wife to pay off a large credit card debt while in the process of grieving. Then, as I mentioned, there is the cost of tying up your estate. In laymen’s terms, this means managing the reading and handling of your Will. There are specific fees that need to be paid to the executor, and these need to form part of your life cover pay-out. This is another headache you would want to spare your loved ones. A well laid out life cover plan will make this easier to handle. Another important thing to take note of, is Capital Gains Tax (CGT). As when you are alive, you will need to pay tax on your assets once deceased. The one exception is on assets left to your spouse. These attract no CGT. Everything else will be taxed at a certain rate. Take this into account when you leave assets to your beneficiaries. The government taxes you on your estate and while there are a lot of technicalities involved in this, it is most important to understand that you will need to take into account the value of your estate, and how much of it will be taxed when you die. This cost needs to be taken into consideration when you set up your life cover plan. Apart from these costs, that are present right after your death, there is also the longer term issue of your income that is no longer there to support your loved ones. You need to take into consideration how much you contribute to your household (or that of a parent for instance). This amount needs to be replaced by your life cover pay-out. Take into consideration for how long you will need to pay this amount (i.e. until your daughter finds herself a sustainable job, or your wife goes onto her own pension etc.) and how much will be needed. Remember that it is not only cash paid that you need to consider – if your spouse used to take the kids to school and back, you might need to get a service to replace this, and this will cost you money. Life cover is actually much cheaper than most people expect, but so many folks are scared to think of the prospects of death, that they avoid this subject completely. Don’t be one of the ignorant ones. The last thing you want is that, when you pass, your family is left with incredibly high debts and expenses, sending them to the proverbial ‘poor house’. This should scare you enough to get you planning for the future. And never assume that, should you have a company life cover plan in place, it is necessarily adequate. You might need to substitute it with another product. And remember that when you leave your company, you lose the cover. Seek professional advice when it comes to this aspect of your life cover. And remember, the sooner you start, the lower your monthly payments will be, and the smaller the risk of having to catch up. Plan, seek advice and start early. This is the best advice anyone can give you.